Games are a good way to keep the children from straying away from you. 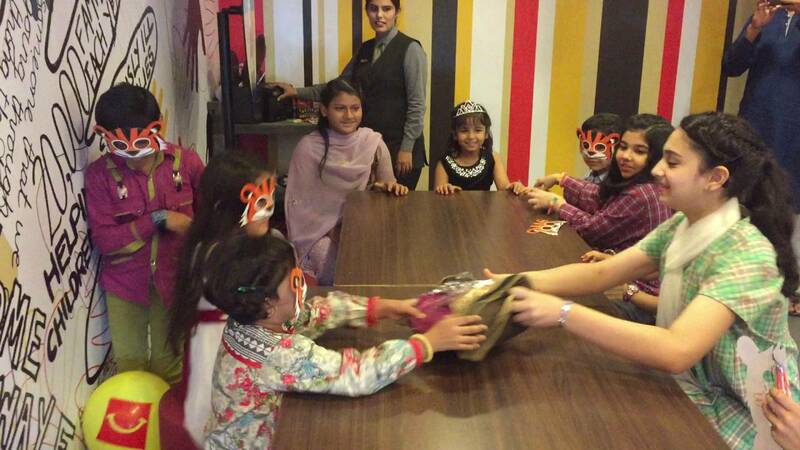 The most special thing you can do for your little children is throw a great birthday party for them. Yet, sometimes you don’t manage to go through with it because it is indeed difficult to arrange a party while handling all your work and chores. This year let us no disappoint our child and arrange a birthday party where children can enjoy. Here are some games you can include to make the party more fun. The best way to present your return gifts without making a scene of it is a treasure hunt. A good professional event management team will not only buy the presents you have listed and run them by you, but they’ll also wrap it up for you. So you can simply give a list of the names of the children invited, and they can put the labels on each gift so that every child goes home with a surprise and the game ends only when the last child has found their treasure. This is a good way to keep the children from straying away from you. Just tell them to hold off their urge to explore the place till you start playing hide and seek. The security systems will make sure no child is actually lost or confused and everything is fun. No birthday party is complete without a game of musical chair. The event organizers will provide you with the chairs, the music, and every prop you might need. This is a hassle-free game that never gets too old. Two words, “candy time”! Every child will be so excited to play this game. It will be a hit even before the game starts. Have the birthday kid pop the balloon and have some more balloons for some more kids to pop so that the thrill is multiplied ten folds. Once again, the management will take care of the setup and it will also serve as part of the decorations. Passing the pillow is just as much fun as any other game and it is one of the classic ones like musical chair. Let the kids cheat, fight, have fun. The best thing about passing the pillow is that you can let the children show off their talent when you ask them to sing, recite, or act for “punishment”.